WK Quantum Quartz is an Australian family-owned company (Est. 1989) and is the leading distributor of natural stone, engineered stone and large format porcelain sheets in Australia. WK Quantum Quartz provides innovative design options to the architectural and design communities, stone fabricators, builders, developers and renovation retailers as well as homeowners. At any given time WK Quantum Quartz holds an inventory exceeding 30,000 slabs of stone featuring Marble, Granite, Limestone, Onyx, Travertine, Quantum Quartz and QuantumSix+. This ensures that an abundance of stone is readily available for your project - large or small. Design Tiles was established in 1999 with a passion for delivering design quality and service. With Ibrahim a tiler of 20 years experience and Pelin a qualified decorator, they found that when people were undertaking a design project in their home or business, they really needed some expert help to get the results they were really looking for. At Design Tiles we are passionate about design and not just about selling tiles. We guide our customers carefully through the range in order to create a concept that is unique to each individual style and budget. All of our consultants are trained in aspects of design including interior design, interior styling, colour consulting, creative visual arts and graphic design. Our team has combined experience of over 25 years’ design and 25 years’ tiling. Design Tiles is consistently being recognised by Rockdale City Council, our local council. In recent years we have both won, and been finalists for, a number of Business Excellence Awards; including Excellence in Customer Service and Excellence in Innovation. Established in 1993, RMS Natural Stone & Ceramics has grown to become one of Australia’s leading importers and sellers of Natural Stone and Ceramics. RMS prides itself on providing the highest quality stone and ceramic products to various projects around Australia and New Zealand. With showrooms and warehouses in Sydney and Melbourne we ensure we only have products sourced from quality quarries from Italy, Spain and select other countries. 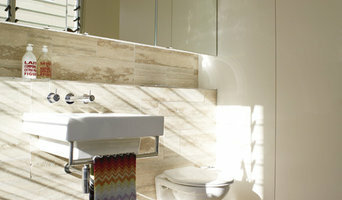 Whether it is a classic or a contemporary finish, there is a tile that suites every purpose. Customers can also choose from a variety of finishes including flamed, antique, brushed or even bush-hammered. The extensive choices offer our customers new dimensions in visual effects for floors and walls alike. We have re-invented shopping for tiles. 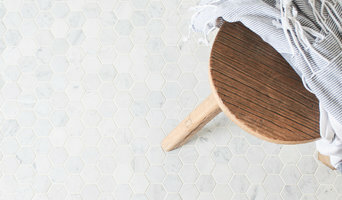 Shop our website for beautiful tiles get them delivered direct to your door. Through some frustrating renovation experiences ourselves, we realised the current way people buy tiles is inconvenient. We wanted to create a place where you can shop online when and where it suits you. It didn't exist so we created it! TileCloud comes down to three things; having the right tiles, having a great e-store and getting our tiles to your door. We have in-house designers who are continually curating collections of tiles which are the right mix of stylish, affordable and on trend. We built an industry leading e-commerce platform to manage the process so things happen how they are supposed. We work with freight professionals who are happy to deliver your tiles. With over 35 years of experience in the stone industry Gitani Stone will assist you in achieving the most artistically customised outcome for your project. MDC Mosaics & Tiles have been supplying tiles and building products to the Sutherland Shire since 1994. We have evolved from supplying just mosaic tiles for swimming pools to currently supplying a comprehensive range of indoor and outdoor tiles available in Australia. MDC Mosaics & Tiles have an experienced Interior Designer in store who can help you with your tile selection to achieve a well thought out selection of tiles to complement your design concept. Home owners and Local developers appreciate the easy access to a range of tiles that allow on trend tile choices even with budget constraints. On the other hand, if budget isn’t an issue there are unbelievable tiles to choose from. Tilers and Landscapers have access to the full range of Mapei building products in stock in our store with bulk orders easily loaded onto their trucks and easy access to our front door. The staff of MDC Mosaics & Tiles are all passionate about tiles and the ability of tiles to transform the ordinary to the spectacular. Their knowledge of the building products needed to complete your tiling project make sure the best product for the project are used. You will have peace of mind of a long lasting finish. Home owners and developers have all benefited from MDC Mosaics experience in the Tile Industry and appreciate the high quality and standard of the tile range in store. Caesarstone is the leading brand of quartz surfaces in Australia. The exceptional beauty, strength and durability of quartz ensures a product that is far superior to natural stone and other manufactured surfaces. Created from 93% natural quartz aggregates, organic pigments and enhanced polymer resins, Caesarstone provides a surface with exceptional properties of heat, stain, scratch and chip resistance. Stone - Tech ® was founded in 1983, an all Australian owned company, specialising in importing and manufacturing Natural stone products such as Granite, Marble, Limestone, sandstone or onyx. In addition, we are one of the preferred fabricator of all leading brands of engineered ( reconstituted ) stone such as Caesarstone, Quantum Quartz, Sile stone, Essa stone, Smart stone and Stone Italiana. Our Tiles are printed, glazed and finished in our Studio in Sydney using a combination of digital technology and traditional ceramic techniques. Having control over every aspect of the tile printing and finishing process, our tiles are fully customizable to ensure they will be perfect for your project. We create unique splashbacks for kitchen, Feature walls for bathrooms, Tile murals for outdoor area or luxurious tiles for your swimming pool or use our tiles for your commercial project. As every project is different, we provide a quote for every customer. We can recreate the tiles from any digital image, copies of your own personal art, photos, logos. Creating your very own tiles will be unique, lux and give us a call because it is affordable and easy to start. Tile Factory Outlet, Sydney is the largest single tile store in Australia. TFO is a factory outlet with a difference. The difference is that Tile Factory Outlet is no longer just a tile clearance warehouse. We have partnered with the world’s best brands. Selling high volumes at direct factory outlet prices, customers have found that they can save thousands of dollars by buying from TFO, in fact saving up to 70% off retail prices. All the products are first quality porcelain, ceramic, natural stones, travertine tiles and travertine pavers, vanities, taps, toilets, adhesives, sealers and trims. We have all you will need for your next tiling project – all at outlet prices. Our showroom and tile warehouse are open 7 days a week in Smithfield, Western Sydney. No longer do you have to wait 6 weeks for your product to arrive. At TFO, our products are in stock and ready for same-day pickup. Our experienced sales staff are able to guide you through the tile selection process with colour consulting, extensive product knowledge and advice on all the latest trends, offering you the perfect solution for your home renovations. Can’t get to TFO, Smithfield? You can also buy tiles online where you will find everything you need on our online superstore. Visit TFO’s online store located on our website now! Amalfi Tiles was created in 2011 to offer the building and design industry a range of tiles, stone and bathroom accessories from around the globe. Being a family owned business guarantees you a service at Amalfi like no other. We are all about offering a variety of services tailored to our client’s requirements. Which means we design and supply anything tile related, we can design and install your kitchen and joinery and we deliver time and time again the latest designer bathroom products. At Amalfi, we pride ourselves on our ability to listen to our clients and the commitment we give to source the very best range of tiles, stone and bathroom ware. Our professional advice begins from design through to installation. We are on the journey with you to bring your vision to life. We are here to help with your project, big or small, so pick up the phone and give us a call. 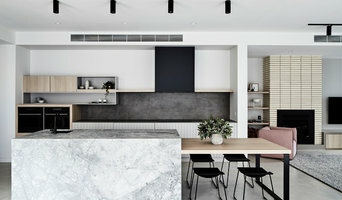 Euro Marble is a long-established Australian company providing a range of professional products and services relating to the marble, granite and stone industry and has been creating beautiful commercial and residential designs from the finest quality marble and stone materials for the past three decades. During that time we have worked tirelessly to build a reputation as leaders in the industry, delivering premium stone products, construction and design. From new constructions, corporate fit-outs and commercial designs to refurbishments and renovations, our classic stone products are built to last. We draw on a wealth of experience to deliver the highest standards of service and craftsmanship in the stone trade and are capable of creating unique one-off products, to precise specifications through our own stone processing plant and infrastructure. Cosentino offers to its consumers 25 years warranty to the Silestone kitchen benchtops. Our products include the most demanding quality controls that offers a basic qualification to a product that has become in the skin of thousands of kitchen in more that 52 countries. Silestone is a compound made up of 94% natural quartz, which make it extraordinarily hard and resilient. It is an excellent surface for kitchen benchtops, bathrooms, floors and wall cladding using the minimum number of joints. Vad väljer jag först, material eller hantverkare? Eftersom företag arbetar med olika material och produkter samt ofta specificerar sig inom olika område så kan det vara smart att titta på vilka material företaget kan erbjuda. Däremot ska man aldrig tänja på själva utförandet. Vill man att ens bänkskiva i marmor eller granit ska hålla krävs en duktig hantverkare inom kakel, sten och bänkskiva i Waterloo. Investerar man i en ny köksbänk eller satsar på att sätta nytt kakel i hela badrummet så är det en fördel om arbetet är utfört korrekt. Vidare brukar det inte vara några problem med att få till en marmorbänkskiva eller någon annan sten om det är det man föredrar. Stenskivor förekommer hos de flesta leverantörer idag och vill man foga i en specifik färg eller sätta upp unikt kakel brukar det gå att lösa. Vilka bänkskivor är vanligast att använda? Vad det gäller köksbänkar är bänkskivor i sten och trä vanliga. En stenbänkskiva är snyggt i allt från svart granit till ljus marmorbänkskiva. Inreder man däremot ett klassiskt kök kan man satsa på en vit bänkskiva eller en i björk. Det är enkelt att rengöra en stenskiva precis som behandlat trä. Vill man ha en bänkskiva i sitt badrum kan man be en kakelsättare i Waterloo, NSW, AU kakla ytan så att den går med badrummet. Här är ett tips att köpa vacker mosaik för att bryta av vitt klinker. Oavsett om man väljer kakel till sitt kök eller badrum så finns det mycket att välja mellan. Väljer man plattor till något mindre, så som en bänkskiva, så är det snyggt att köpa kakel i en stark färg eller roligt mönster.